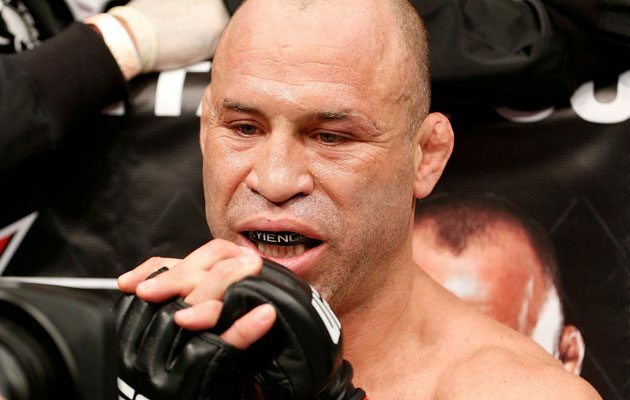 UFC 180 on pay-per-view is set to go head-to-head with Bellator 131 on Spike TV this Saturday night and as his feud with the UFC continues, Wanderlei Silva is going to be helping promote their biggest rivals show. According to a new press release from Bellator, Silva will be joining a few other ex-UFC legends, Randy Couture, Royce Gracie and Frank Shamrock who’ll all be at a Bellator 131 pre-event party signing autographs on the evening before the show. The other fighters already have a known association with Bellator, with Couture and Shamrock having starred as coaches on the short-lived Bellator reality show ‘Fight Master’, while Gracie signed on as a ‘Brand Ambassador’ last month. Silva is a new addition though, and his presence has almost certainly got a lot to do with the fact that he’s currently embroiled in a feud with the UFC, having publicly critized them several times lately for the way they treat their fighters. UFC president Dana White has previously pointed out that he believes Silva’s criticism is really just a “smokescreen” as the recently retired fighter tries to deflect attention away from the fact that he has being hammered by a life-long suspension from the sport by the Nevada State Athletic Commission for running out on a random drug test earlier this year. It’ll be interesting to see what White will have to say, if anything, about Silva’s latest act of defiance as technically he’s still under contract with the UFC. Bellator are unlikely to mind either way. Any publicity is good publicity for them in this instance. Next articleNext Fights for Michael Bisping and Luke Rockhold?